Kitty Weisman is Coordinator of the Southeastern Partnership for Forests and Water and a consultant for US Endowment for Forestry and Communities. She is working to foster watershed protection and collaboration between forestry, drinking water, and conservation stakeholders throughout the southeast, and also provides guidance to the new US Endowment For Forestry and Communities and EPA Healthy Watersheds Consortium Grant Program. Ms. Weisman has worked for various Washington State environmental agencies on watershed protection for her entire career, and is knowledgeable about federal, state and local drinking water, storm water, point and nonpoint pollution, and industrial pollution issues, planning and regulatory programs, as well as watershed funding programs. She most recently finished a five-year term with Washington State Department of Health Office of Drinking Water as the state’s Source Water Protection Program Manager, and spent two years managing their Drinking Water State Revolving Fund (DWSRF) grant and loan programs for public water utilities. She worked with Evergreen Rural Water of Washington for five years, as their training specialist and source water specialist. Ms. Weisman currently serves on the American Water Works Association’s (AWWA) National Source Water Protection Committee. Hughes Simpson coordinates the Texas A&M Forest Service Water Resources and Ecosystem Services programs. In this position, he provides leadership on water resource issues, environmental and forest policy, native forest restoration, forest sustainability, and conservation initiatives for the agency. He earned a Bachelor of Science in Forest Resource Management from Clemson University. Peter joined the U.S. Endowment for Forestry and Communities (www.usendowment.org) in 2010 and currently serves as the Chief Operating Officer. At the Endowment he has responsibility for a number of programs associated with forest retention, forest health, and watersheds. He manages a number of partnerships with federal agencies, including the Department of Defense, Environmental Protection Agency, and Natural Resources Conservation Service. Peter has a B.S. in Biology from Furman University in South Carolina and a Ph.D. in Ecology from the University of Georgia. Prior to joining the Endowment he held a number of positions with the National Fish and Wildlife Foundation. Peter lives in Aiken, South Carolina. Daniel began working with the U.S. Forest Service Southern Regional Office State and Private Forestry (S&PF) program in Atlanta in July of 2015. His primary responsibilities include coordination of special regional projects and addressing regional water resources issues. Previously, he completed a temporary assignment with the S&PF program where he was responsible for coordinating a forest conservation and restoration RESTORE proposal with several partners from Mississippi. He began his career with the Forest Service in 2000 with the Southern Research Station as a Biologist at the South East Tree Research and Education Site (SETRES) in the sandhills of NC. He moved to the Forestry Sciences Lab in Research Triangle Park, NC in 2002 where he continued to work on a variety of carbon and nutrient cycling projects in addition to water use projects. He has served in a temporary capacity with the Policy Analysis and Fire and Aviation Management staffs in the Washington Office of the U.S. Forest Service. 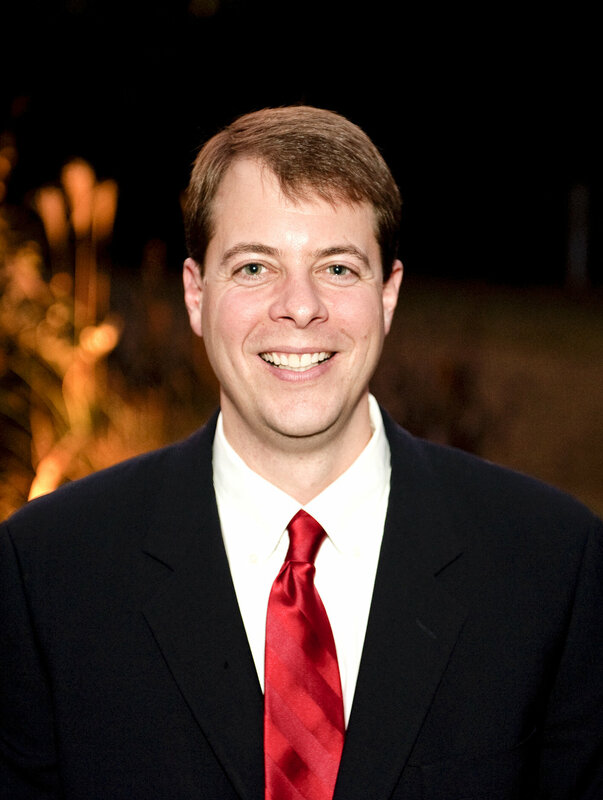 McInnis received his bachelor’s degree in Biology from Campbell University in Buies Creek, N.C., in 1997 and his graduate degree in Forestry from North Carolina State University in 1999. Herb Nicholson is the Environmental Program Manager with the South Carolina Forestry Commission. Herb received his B.S. in Forest Resource Management from Clemson University in 2003. After graduating, he worked as a timber buyer for a timber supplier in the Pee Dee region of the state. Herb joined the SC Forestry Commission in 2004 and has worked as a Forest Inventory and Analysis Forester and a Best Management Practices Forester, primarily in the 13 southern counties of the state. Herb then worked as the Assistant Director of Sand Hills State Forest in Patrick, SC for six years. Herb moved into his current position in 2014. While in this role, he has served as the 2015-2016 Chair of the Southern Group of State Foresters Water Resources Committee and serves on several SC Forestry Association committees. Herb has been active in the local Hartsville community serving in several capacities for F3, Habitat for Humanity, and St. Luke United Methodist Church. Jill Miller has been employed by SCRWA for the past 13 years. For the first 8 years of employment, Jill worked as the Source Water Protection Specialist assisting water utilities with grass root community based watershed protection efforts. The most recent 5 years, Jill has worked as the Director of the Association. SCRWA is a nonprofit trade association that provides onsite technical assistance, regulatory compliance assistance, training and industry specific services to SC water and wastewater utilities. As Director, Jill manages 9 field staff and 3 internal staff along with their program specific projects, keeps up to date with Legislative initiatives relative to the utility industry, interfaces with Regional and State regulatory officials and maintains focus on the ever changing challenges and needs of South Carolina utilities. Jill also has a background in environmental soil and water pollution impact studies and remediation, aquaculture, water quality analysis and utility emergency preparedness and response. She earned a Bachelor of Science degree from Old Dominion University. Robert Morgan is currently the program manager for Arkansas’ Forestry and Drinking Water Collaboration. Dr. Morgan recently retired as the Manager of Environmental Quality at Beaver Water District. In that position, Dr. Morgan was responsible for management of the District’s water quality laboratory, and implementation of the District’s source water protection program. In addition to his duties at Beaver Water District, Dr. Morgan also served as adjunct faculty in the Biological Engineering Department at the University of Arkansas, Fayetteville where he taught courses related to hydrogeology. Previously Dr. Morgan worked for the State of Arkansas’ Soil and Water Conservation Commission where he developed and implemented the State’s first nonpoint source pollution management program. Dr. Morgan is an active member of the American Water Works Association serving on the Associations Technological and Educational Council. Dr. Morgan lives in Springdale, Arkansas with his wife Sharon. The Forestry Association promotes sustainable forestry to benefit the economy and environment of SC. Guy works on forest and environmental policy issues and supports the Timber Operations Professional, SC Tree Farm, and Sustainable Forestry Initiative Programs. He received degrees from The Citadel and Clemson University and has 28 years of experience as a forester and biologist in WA, VA, and SC.